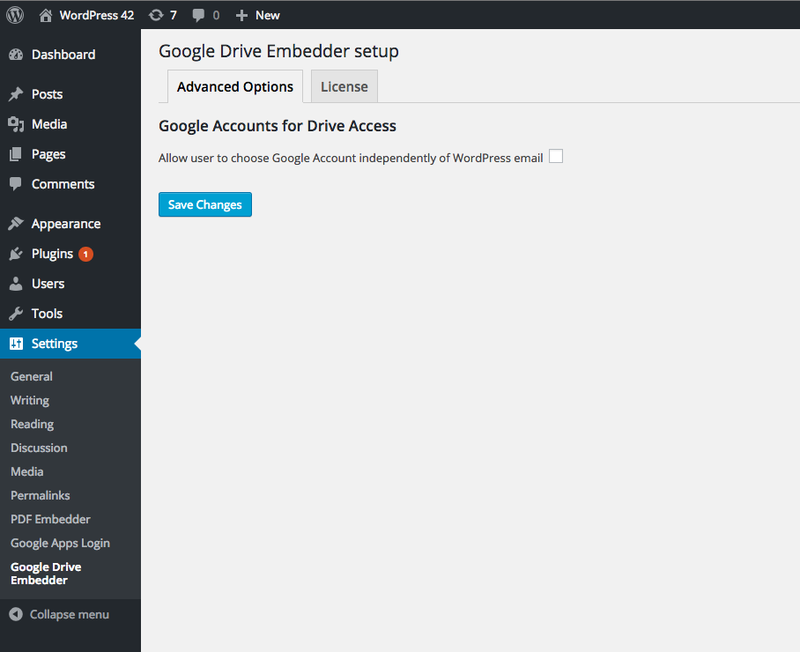 These instructions presume you are using the Premium version of Google Drive Embedder and have already installed successfully, including installation and configuration of either the free, premium, or enterprise Google Apps Login plugin which is required for the Drive plugin to work. The Advanced Options tab only contains one option in the Premium version, and it will not be useful for most installations, so feel free to move on to our tutorials explaining how to use the product. When embedding a document into a WordPress post, the default behavior for the plugin to decide from which Google account to pull the file list runs as follows: Attempt to pick the Google account corresponding to the currently logged-in WordPress user’s WordPress email address.